As the excitement of the NHL Draft and buzz of the biggest free agent acquisitions disappear in the rearview mirror, the most diehard of hockey fans can only sit and wait as the season inches closer. Without any trades, transactions or, you know, actual games to discuss, the biggest hockey “stories” seem to center around alleged cases of tampering or DMV controversies. And while these reports clearly pale in comparison to murder investigations and drug charges (no offense, NFL), this kind of “news” still lends itself more to the tabloids than anything pertinent to the actual world of hockey. At the same time, though, the summer provides fans with a feeling of hope that might not otherwise exist during the regular season. Regardless of what club someone cheers for, he or she can always dream for the coming year. Sure, ambitions may vary depending on what city one dwells in but there is always something to be optimistic about as another campaign approaches. From Stanley Cup aspirations to breakout performances, anything is possible with a fresh sheet of ice. 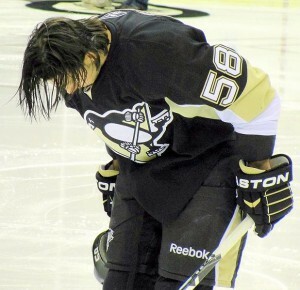 While Pens’ supporters have been nothing short of spoiled with regards to the amount of talent that has come through Pittsburgh over the years, they have also witnessed an almost unparalleled amount of injuries and illnesses to their most talented athletes. Indeed, from Mario Lemieux’s back/bout with cancer to Jaromir Jagr’s groin to Sidney Crosby’s issues with, well, pretty much everything from the neck up, the Penguins have experienced it all. Last year was no exception as Crosby was robbed of more hardware when he missed the last quarter of the season due to a Brooks Orpik blast to the jaw. It wasn’t the first time the Penguins’ captain missed out on an Art Ross and likely Hart Trophy due to injury but Pens’ fans hope it will be the last. After all, if Sid can finally stay healthy, he’s clearly the odds-on favorite to win the league scoring title. And after “87” managed to suit up for just 99 games in the past three seasons, that’s something every Pittsburgh fan would love to see again. The Metropolitan could very well prove to be the NHL’s most competitive division this year. Indeed, with established regular season powerhouses like the Penguins and Capitals, emerging clubs such as the Islanders and Blue Jackets and teams like the Flyers looking to rebound from subpar performances, there aren’t likely to be many easy nights in the Metropolitan. Hell, we haven’t even mentioned the Rangers or Devils who are a season removed from being the East’s top regular season team (Rangers) and reaching the Stanley Cup Final (Devils). Coming off an Atlantic Division championship, the Penguins and their fans would surely enjoy further asserting themselves as the squad to beat now that realignment has grouped them with some new foes. With new (Islanders, Hurricanes and Blue Jackets) and existing (Flyers and Capitals) rivalries being further shaped within the division, the locals would certainly relish the opportunity to keep their bragging rights as supporters of the top dogs amongst their most hated counterparts. A Metropolitan Division title would provide just that. Regardless of last year’s polarizing playoff performance, it can’t be denied that Kris Letang is one of the NHL’s most dynamic defensemen. “Tanger” consistently ranks among the league’s highest scoring rearguards, skates as well as anyone and is deceptively strong for a blue liner of his size. As a result, he has found himself in the Norris discussion for the last couple of years, first considered a potential future winner and most recently being named a finalist for the award. Now, Letang is knocking on the door of accomplishing something no other Penguin has achieved since 1981. Because for all the talent, awards and championships Pittsburgh fans have had the privilege of witnessing since the Mario Lemieux era began, no Penguin has been recognized as the league’s best defenseman since Randy Carlyle did it 32 years ago, a feat not many Pens’ fans are likely to remember. That could change after the 2013-’14 season, as Kris is potentially primed to take a run at the award. With the return of stay at home defensman, Rob Scuderi, Letang just may find the yin to his yang, the perfect compliment that allows Tanger to excel and further take the NHL by storm. And if that proves to be true, Pens’ fans might be lucky enough to celebrate only the second Norris Trophy in franchise history. The most vexing aspect of wishing for a rebound season for Marc-Andre Fleury comes from the fact that he consistently proves himself to be a more than capable goaltender during the regular season. Sure, he’s never really been in the conversation for the Vezina Trophy, perhaps a function of the fact that he isn’t typically amongst the league leaders in save percentage or goals against. But, year in and year out, “The Flower” does rank among the league leaders in wins, likely a function of his knack for making the big save when his talented club needs it the most. And the coming season could be more of the same, as Fleury has more than enough motivation to turn in a stellar campaign. The problem lies in the fact that no one will really know if Fleury can bounce back until the playoffs begin to take shape. A solid regular season performance would be great but, after two consecutive postseason meltdowns, it’s The Flower’s play beyond the 82 game schedule that people will really be watching. Can he rebound and return to the form of a goaltender that always seemed to make the crucial save at the biggest of moments? Excluding members of the Original Six, Pittsburgh has as rich a history as almost any club in the NHL. From a plethora of scoring titles to the collection of MVP’s to three Stanley Cup championships, it would seem the Penguins have accomplished it all. 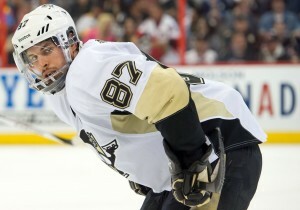 For all of the accolades, though, the Pens have yet to treat their fans to a Stanley Cup clinching victory on home ice. In 1991, a blowout victory in Game 6 over Minnesota brought the Cup to Western Pennsylvania for the first time; in 1992, it was a sweep over the Chicago Blackhawks that made the Penguins two-time defending champions; finally, an improbable Game 7 victory over Detroit secured Pittsburgh’s third championship in 2009. But all those victories took place on the road. Now, one can’t be too picky when it comes to such an arduous achievement but, as long as we’re creating a wish list here, taking it all in as Crosby et al parade the Cup around Consol Energy Center’s ice has to be right up there with anything else Pens’ fans would hope to gaze upon. And the 2013-’14 season would be as good a time as any to take it all in.